In August 2014, a minute-long video circulated over social media in Brazil showing a man adjusting the camera amid a tangle of wires in one of Rio de Janeiro’s favelas. The man, a Pacifying Police Unit (UPP) officer, is directly in front of the camera and appears to be perched on a ladder against a lamppost. Suddenly, a loud bang—and his head immediately seems to slump as he falls out of view. In the alleyway now visible, another police officer crouches against a wall and draws his rifle toward an unseen enemy in the distance. Another bang and a flash, and the wires in the foreground rustle once again. Then four more shots, these apparently farther off, ring out, and the stooped officers scrambles out of view. Men shout to each other, communicating locations (“to the right,” “on the rooftop [laje]”) over a chorus of barking dogs. Weslley dos Santos da Silva Lucas, a 30-year-old UPP officer, was shot and killed on August 12, and the next day this video began to spread across the WhatsApp instant messaging service and Facebook social media. In a week more than 30,000 shared the raw video clip, assumed to capture the final moment of Lucas’s life in morbid close-up realness. But soon thereafter a spokesperson from UPP attempted to correct the public misconception: the video was recorded on August 9, in a different favela, Morro da Providência, than the one where officer Lucas was shot. The explosions heard are not gunfire but in fact a type of firework known colloquially as cabeção de nego, or “black guy’s big head.” It remained unclear how the video reached social media in the first place and how the story behind it got mixed up with that of Lucas’s death, but the its circulation, even driven by false pretenses, nonetheless reveals new systems of police surveillance over Rio’s popular classes. If this one extraordinary minute of video leaked to the public, onto smartphones and computer screens, then to where were the other 1,339 minutes of footage of that day in that alley in Providência transmitted? How many other surveillance cameras continuously register partial views of the life of the city of Rio, and for what purposes? On the last day of 2010, Rio grew a brain, of sorts: in that month, the Prefeitura, or city government, under mayor Eduardo Paes, commissioned multinational technology giant IBM to launch the Centro de Operações do Rio, or the Rio Operations Center. The most advanced system of its kind, the COR is a pilot project for IBM’s Smarter Cities initiative. This paper explores an emergent new phase in the entanglement of information technology with urban space. Late 20th-century urban research recognized IT as critical to organizing the geography of globalizing cities around the logic of transnational capital. These contributions ruptured prevailing definitions of the city as a territorially bounded entity. Experiments such as IBM’s Smart Cities partnership with the Rio de Janeiro municipal government suggest that digital information is forming part of an infrastructural nexus based on engineering control over the city, making it more responsive to disruption. Set up for rapid response to disasters and breakdowns such as flooding, mudslides, and power outages, the Intelligent Operations Center is in effect a control room powered by computer algorithms that process past and current data to anticipate real-world events. Using ethnographic research in the Center and at its remotely sensed environment, this paper will examine how digital models re-centralize urban planning and management. The Rio case illustrates a broader movement interweaving two forms of code, computer algorithms and law, across the urban domain. This paper brings the politics of infrastructure to bear on a distinctly Brazilian history of surveillance of black bodies. The entanglements and collisions between virtual and material worlds inflects debates over urban STS, the politics of design and planning practice, and the legacies of social control in Latin America. This study forms part of a larger project tracing an emergent “pacification” regime based on infrastructure and security interventions in the urban peripheries of Latin America and beyond. One approach I bring to this study is to observe how urban theory itself has made certain aspects definitive of the city, thereby legitimizing and naturalizing class projects as apolitical or more broadly for the “common good.” As rampant global capitalist urbanization coincides with the development of Internet of Things and Big Data sustaining the urban world, I trace how conceptions of the city have informed and have been informed by this latest quantitative turn. Most recently, I see a growing movement, driven the urgencies of planetary urbanization and its ecological impacts, to approach the city again under the pretenses of hard science and mathematics. The rigor of complexity theory, fractal algorithms, and simulation design seek to re-energize the dream of a general theory of urbanization. The renewed desire to discover an underlying set of systematic principles governing cities aims to guide their economic development and saving them from self-destruction. But the Intelligent Operations Center is not a machine on auto-pilot. Through ethnographic observations I recount the everyday work of directors and staff both at the Center and in the "field." 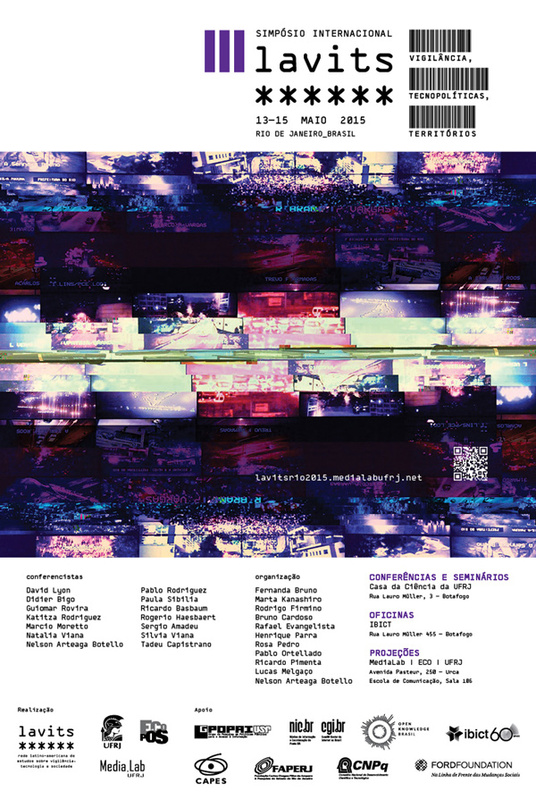 the construction of "events" and "places" through surveillance technologies. What makes a visual datum? What philosophy of the image is engendered by Smart Cities surveillance systems? How does the built environment impose its own rules on surveillance? What are the indices that register normality and abnormality? This latter question involves the managing of racialized bodies in urban space, "out of place" persons. Poor, dark-skinned Rio residents have already mobilized against this subjectification as surveilled bodies, as illustrated in ‘rolezinhos’: spontaneously organized flash mobs of hundreds of favela youth in shopping malls to assert their right to occupy spaces of consumption. A second line of thought I bring to this study involves the history of visuality and social control, particularly in the Atlantic World. Nicholas Mirzoeff, in The Right to Look, defines visuality as a worldview “that seeks to naturalize and aestheticize its perspective in the classification and organization of the social order.” Visualities are essential in the establishment and maintenance of divisions of labor, racial separation, and disciplinary power. Visualization, Mirzoeff emphasizes, is at once an act of representation and imagination. Insofar as maps, models, and other instruments of oversight are aestheticized, they possess ideological power. Eden Medina’s history of Chile’s socialist experiment under Salvador Allende with real-time cybernetic control over the national industrial sector provides a fascinating case of this utopian ambition to monitor in order to control, and to control in order to monitor. Smart Cities entails a digital infrastructure conceived as hacking the hardware of the city, promising to fix the consequences of “bad” planning. It reflects on the presiding mayor as a nonideological, pragmatic figure, a benign overseer, since the system is seen as helping to “resolve problems” with unprecedented efficiency. Politically, the appearance of control appears more vital than control itself. Of course, the assemblage of monitors, remote sensing devices, engineers, technicians, and administrators shape what counts as an urban problem in the first place. Here it seems the urban nervous system primarily exists to serve the urban circulatory system—aimed at facilitating the “city of flows.” But we should ask indeed, what is at its heart? Keywords: smart cities, Rio de Janeiro, social control, technology, urban. Este post foi publicado em e marcado com a tag Brazil, Policing, race, Rio de Janeiro, smart cities, Sociedades de control, Technology, Tráfico de drogas, urbanismo, visibilidade em 10 de fevereiro de 2015 por admin.